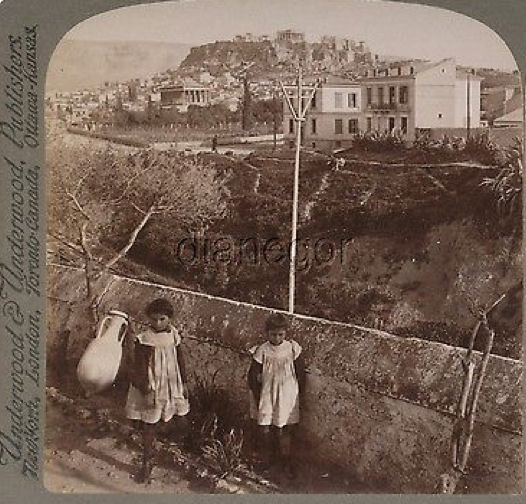 I found this photograph available for sale on ebay titled "Girls Acropolis Parthenon from railway Athens Greece Underwood Stereoview 1907". I am always a little taken aback to see a photo of Athens from this period, knowing what Athens looks like today, and then to see how quaint and peaceful it looks in these pictures. The little girls look so cute in their white pinafores, posing next to the ancient vase by the wall.